There’s a new vibe in the air on Carey Services’ Marion campus. Creativity, music, laughter and fun are some of the ways to describe what’s been occurring the past few months. 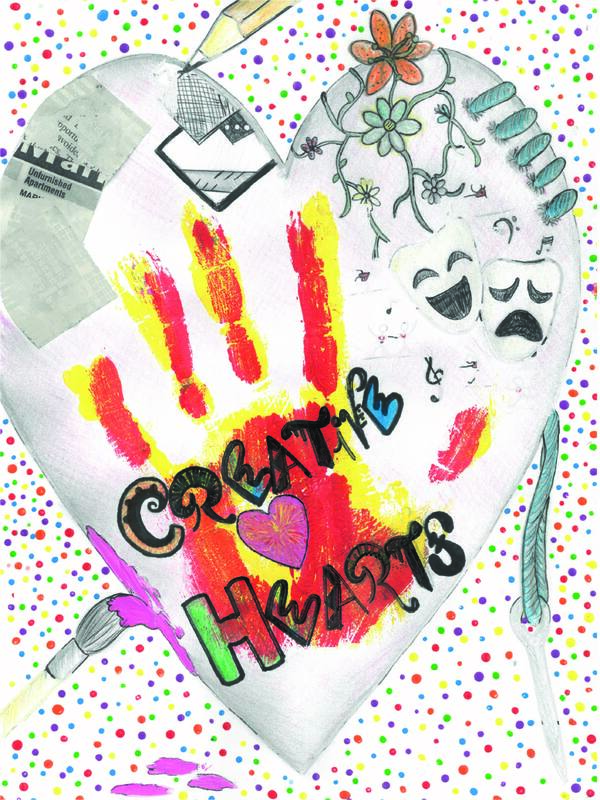 We’ve even given that vibe a name: the Creative Hearts Art Studio. The program launched in October 2016 with a two-week residency from artists with the Creative Abundance Group. The original studio opened in a section of our production facility building on the Marion campus, but participation has been such that in February 2017, the programming was expanded into two rooms of the Marion day services area. The original program artwork upon which the logo was based. The artwork was created by Melissa Eads, one of the staff members who helped launch the program. The program’s name was selected from staff members and consumers nominations; the area names also were selected from that nomination list. The logo is based on artwork by Melissa Eads, a staff member who helped launch the program. With the Creative Hearts Art Studio encompassing three programming spaces, each has its own emphasis and name. The original space, now called the Inspirations area, will offer painting and sewing and will be the area where sculptures are created. One day services space, now called the Limitless area, will offer additional painting and sewing opportunities. The second day services space, now called the Imaginations area, will focus on creative expression through movement. For more information, contact Kaufman at (765) 668-8961, ext. 168 or by email.